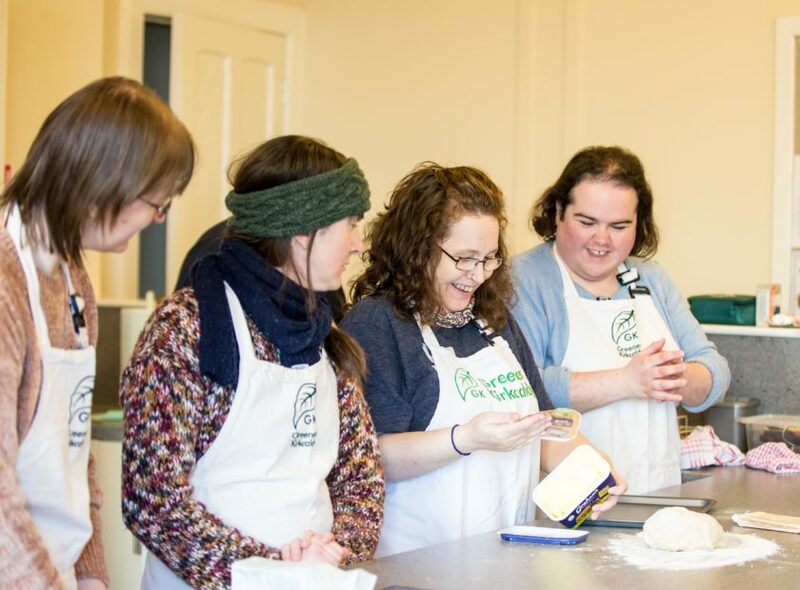 Smart Cooking is an 8-week basic cooking skills and household budgeting programme, delivered in partnership with Fife Council’s Community Food Team. Participants learn how to cook healthy and affordable meals and make the most of food expenditure, how to manage a household budget, and how to manage their energy use and bills better. This course is unique in that participants can access varied support and advice in one programme. The course is suitable for beginners and anyone wanting to develop cooking and budgeting skills. Find out when our next classes are starting on our events page. We also run specific courses for some groups and organisations. For more information, contact Jackie Arreaza – email jackiea@greenerkirkcaldy.org.uk or call 01592 858458.